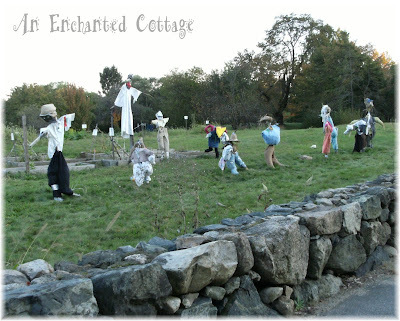 An Enchanted Cottage: They're everywhere! They're everywhere! Well, I don't see a single crow, so these guys must be doing a good job! ... and there are no other cars on this dark road, they look a little bit spooky!!! Blue jean babies, for sure! ....but that's where the similarities end... 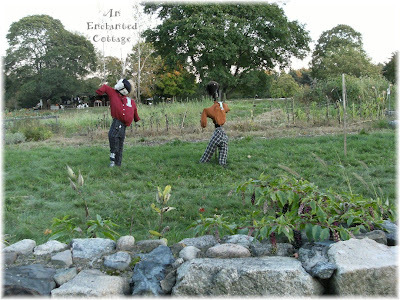 They each have their own distinctive personalities! 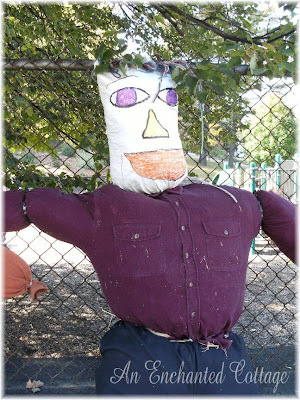 Scarecrows... a sure sign that autumn is upon us! Ive never seen anything like it!Its amazing, they are unique alright! They really are everywhere aren't they! 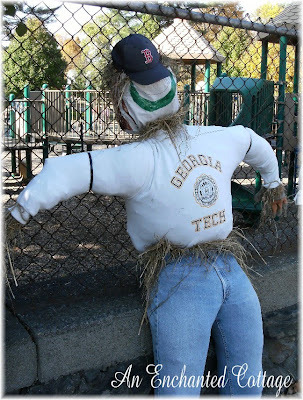 Seems many towns are getting in on the scarecrow act these days and I think it's a great small-town idea. 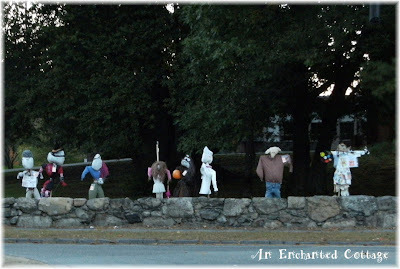 I know Portsmouth has them all over town too. One day this week maybe I'll get out to shoot some of them. 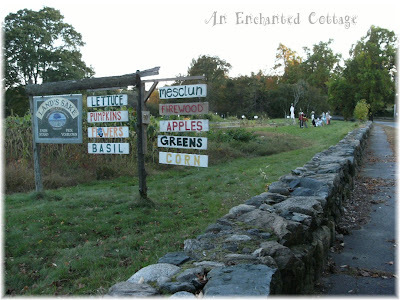 You better go to that farm stand soon before they close!!! 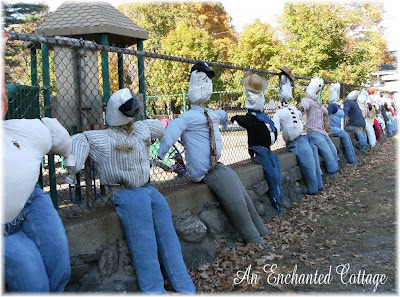 Wow I have never seen so many scarecrows and so nicely dressed. Thanks for sharing. They are hilarious! 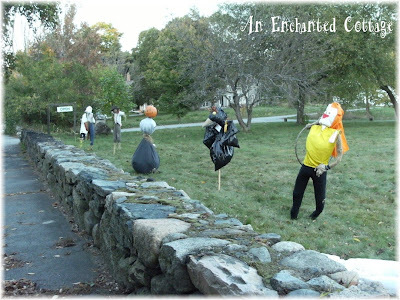 I love scare crows! 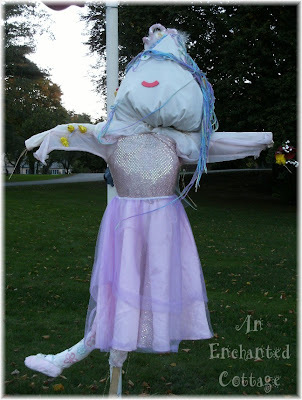 Have you ever read "The Scarecrow's Dance" by Jane Yoley? 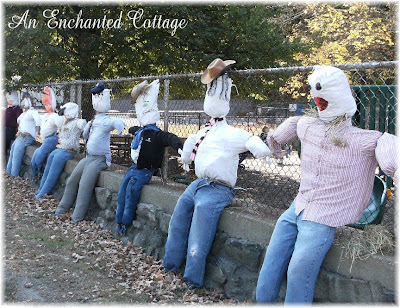 What a neat bunch of scarecrows! I love seeing them - having just worked on the Wizard of Oz, I start thinking that they are from another era and no one makes them anymore. Then I see your post - Voila! They are alive and well. 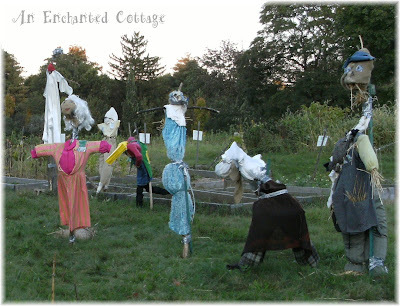 I am stopping over from Mockingbird Hill Cottage. What a great bunch of dummies you found. 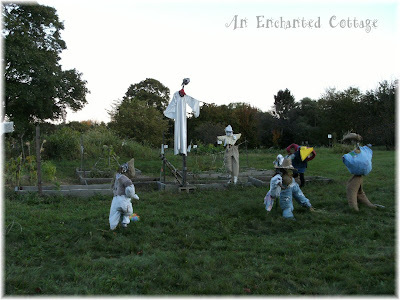 I need one of those for my Halloween Party. 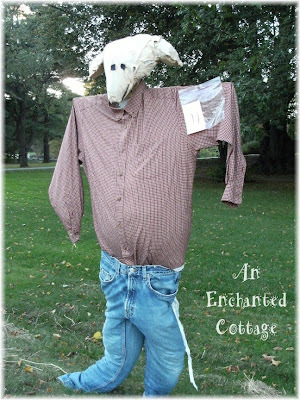 I love scarecrows! This is just the best collection! I love them! And I love that they are homemade and not the store bought ones. So cool! 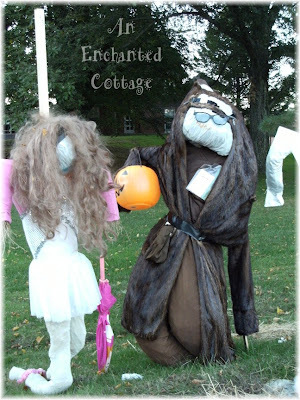 These are really great.....oh see some Halloween art in those. 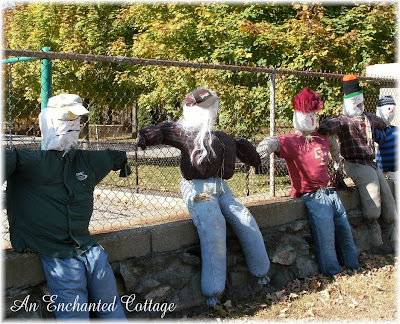 Wish I had the energy to do that to my yard!